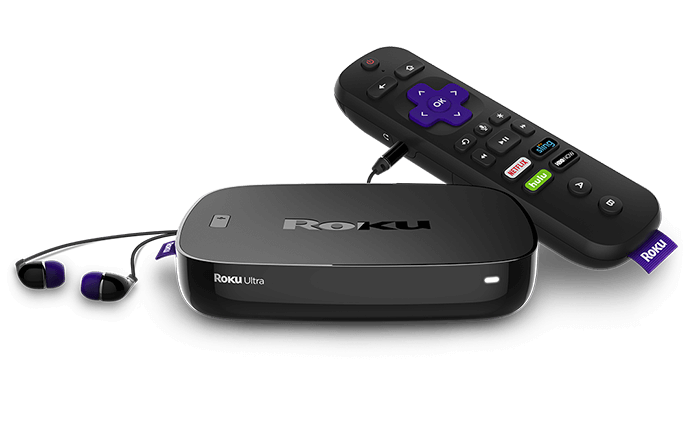 We commonly recommend Roku devices to our readers due to their reliability, low cost, and their incredible software support. Since streaming services don’t have a contract, it makes sense to purchase a device that can support service swapping. If DirecTV Now suddenly increases their cost, or Sling TV adds a new channel, you shouldn’t have to add the cost of a new streaming device to your swap. 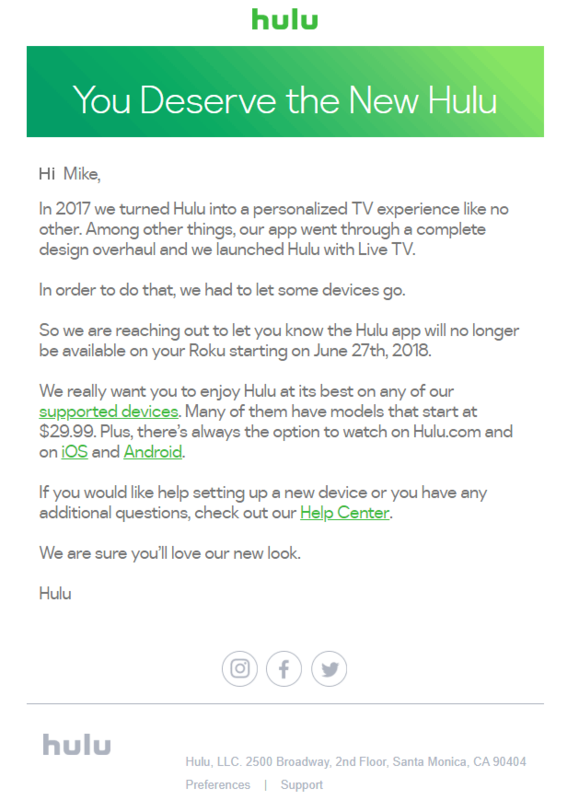 Sadly, we received an email this week alerting us that Hulu will not be available on certain older Roku models starting June 27th. According to Hulu’s website, the following Roku devies WILL be supported after June 27th. Any device not on this list will not be supported any longer. These additional Roku devices support the classic Hulu experience, which all subscribers can use to access the Hulu streaming library. Live programming and other features (such as My Stuff, HBO, or Cinemax) will not be available. The extent of what “no longer supported” means is still up in the air. It hasn’t been announced yet if the app will stop working if it it will only stop appearing in the store for the devices. We read it to mean that the app will likely continue to work if you already have the app installed. Of course this means you won’t be able to update the app any more if Hulu roles out any major changes, but at least you’ll still be able to watch. When the Netflix app stopped supported older Roku models, users reported that they could still run the old version of the app (before multiple profiles were added). They’ve said the app is still continuing to run as such, they just won’t get any additional features or support in the future. 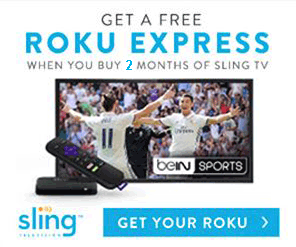 If it’s time to upgrade your Roku anyway, this might be a good excuse. 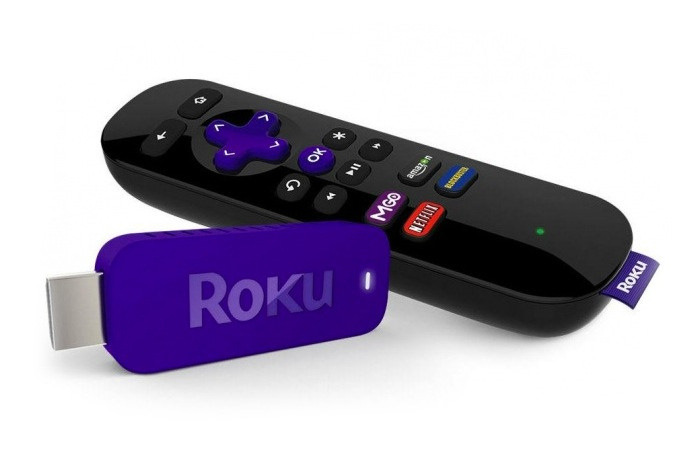 But if you want to saver every last moment with your older Roku, hopefully the app continues to function when the change rolls out.